Client Reviews: Our Clients Love Us! "Since my first interaction with SalonTarget® I was impressed!!! They are so professional, so down to earth and very fun!!! What an awesome team!! Just incredible people, so knowledgeable and kind, and they "get it"!!! They get what we go through on a daily basis with clients, scheduling, the struggles and time management issues.... They understood it ALL!!! They own a salon, work with clients, they are in the industry so they KNOW what salons need. They know what employees want and what owners want. The seamless integration with SalonTarget® was hands down OUTSTANDING!!! I have worked with other software companies, I have TRIED to work with other well-known brands as well, everything was too complicated, too frustrating, and extremely overwhelming. 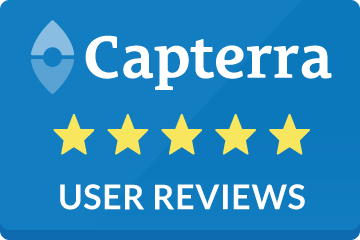 This has been hands down…the most fun, exciting, and motivating experience we have had with a software change over." Keri L, Salon Owner and the Entire Salon Team!!! SalonTarget® is not just a software company; they are a consulting service. They became a partner with us and have used their extensive experience to help us make the best decision for our business. Without SalonTarget®, starting our salon would have been a much more difficult task. It is nice to know we have the backing of experienced professionals. Looking forward to a lifetime business relationship, as you truly have been a company of its word! On behalf of the customers and staff of Compulsive Salon, we would just like to take a moment to tell you how pleased we are with the SalonTarget® system. Our salon has improved tremendously from SalonTargets’ automatic product sales monitor that lets us know when our supplies are low, and much more. I cannot get over how efficiently this software runs & the significant decline of no-shows we have from the automated text or email reminders our customers now receive. SalonTarget pays for itself and gives us so much more in return. We love the free updates with this software and couldn’t be happier with the technical support you provide as well. Once you realize exactly what SalonTarget will do for your salon, you’ll want it. I just wanted to say Thank You to SalonTarget®! We’ve just had our biggest month and its thanks to you guys, our mentors and our friends! Getting SalonTarget® for my salon was one of the best things I could have done for my business. it has grown my business tremendously! As a salon owner and full time stylist behind the chair, I never had the time for my business. With having all the latest technology SalonTarget® has given me all the tools to help run my salon more professionally and efficiently. This software has taken the stress off me and has made me a better salon owner and my life so much easier. 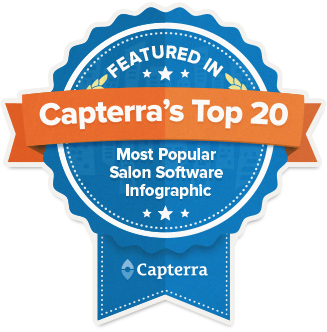 My staff has been so motivated and have grown so much since getting SalonTarget®. Our salon has been getting so many new guests coming into the salon with the online exposure from customer reviews through the software and with the online appointment booking. Clients love the technology and the convenience of what this software offers. I could not be happier. Thank you SalonTarget®. Since working with SalonTarget®, we’ve noticed a significant improvement in productivity. The software is so user friendly that it allows the client to take control of booking their next appointments with automatic follow-up emails. Booking appointments, whether it be online or in person, is effortless with this software and that’s just the beginning of what SalonTarget is doing for my salons’s performance and management since we’ve started using it. One of the greatest contributions this system has introduced to us is the convenience of tracking our monthly progress in terms of retention, re-booking and even sales statistics, which in turn has tremendously increased growth and motivated our team to reach ambitious new goals based on actual numbers I can see. I t has been a true pleasure working with the SalonTarget® Team and their program has been an irreplaceable asset to our salon. We thank you 100 times over! To be more efficient, more effective, and to offer an even better client experience, has always been our number one goal!!! Thank you SalonTarget® for creating a superior product and exceeding all of our expectations!!! SalonTarget® has already begun to change our industry!!! We are so honored to have the opportunity to work with you.